The Society for the Preservation of Old Mills Quarterly Magazine invites submission of articles for consideration and ads from members and non-members alike. Share a mill’s history and photos, following the guidelines listed below. The viewpoints expressed in Old Mill News are those of the respective writers and advertisers. They are not to be considered as an endorsement by SPOOM. Must be received by the Advertising Manager one month before the copy deadline. One full page is $275 per insertion, one-half page is $140, one- fourth page is $85 and one-eighth page is $60. Classified advertising space is available to members through the editor of OMN. One ad per year at no charge for members. Non-Members are charged at a rate of $5 for the first 25 words and 15 for each additional word, not to exceed 50 words. Unsolicited manuscripts are accepted as word documents sent via e-mail (preferred) or typed copy. Photos accompanying the manuscript should not be imbedded in the text, but sent as prints or jpg files. Queries welcome. Formal editorial guidelines are available upon request. Back issues of OMN can be obtained through The Bookstore for $4.50 ea. Copy deadline for all articles is the first of November, February, May, and August. Send correspondence to the Editor. Please observe the deadlines. Photos for Old Mill News can be either black/white or color, but must have good contrast and be printed on non-textured paper. They should be sent as prints or high-resolution jpg files (preferred), but not imbedded in any manuscript. Copy machine or FAX copies are not acceptable. Do not send matted or framed photos or other artwork as such enhancements must be removed and we will not accept responsibility for them. Cover photos should be 5x7 color prints. 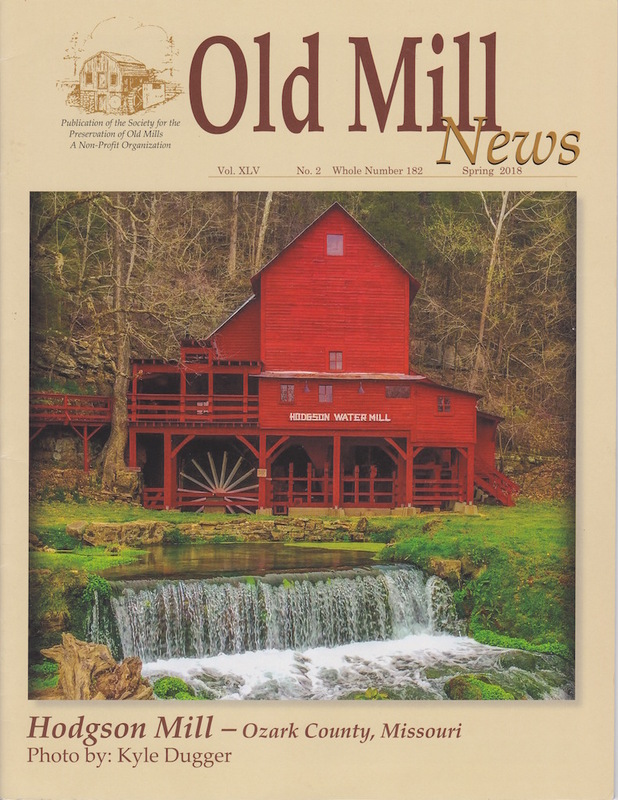 Old Mill News is mailed in Pontiac, IL, generally during the first or second week of the following months: January, April, July and October. Please allow three weeks for delivery. Canadian and overseas mailings are made at the same time using the least expensive rates available.